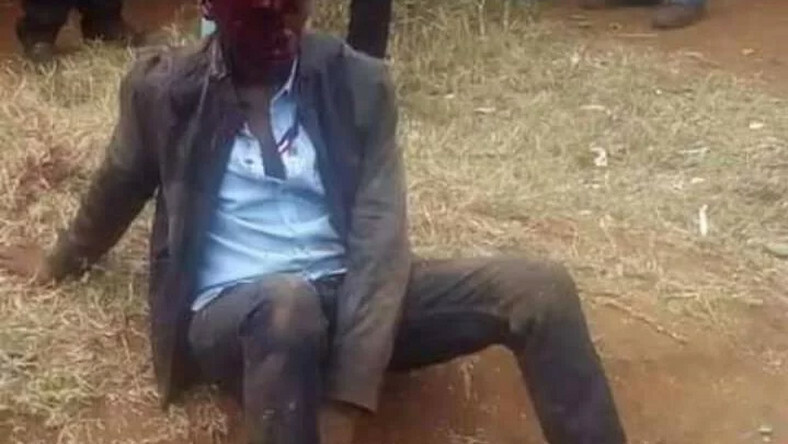 Wednesday April 10, 2019-Doctors at Moi Teaching and Referral Hospital (MTRH) have given a health update of Naftali Kinuthia , the man accused of killing a Moi University student on Tuesday. Kinuthia, who is a computer science graduate, is accused of killing Ivy Wangeci who was allegedly his lover. He used an axe to hack Wangeci to death. Kinuthia was taken to the facility on Tuesday in critical condition after sustaining injuries inflicted on him by Eldoret residents shortly after he brutally hacked Ivy outside the MTRH. During his admission in hospital, doctors at the MTRH said his health was “extremely at risk”. “As we speak, he is still undergoing treatment in the hospital. We have administered him with medicine and water. His parents have come to see him. He is under the close watch of the National Police Service and the DCI. The two agencies will now embark on interrogating him in order to find out why he killed the woman,” said Dr Aruasa. Kinuthia is said to have butchered Wangechi after learning that she had infected him with deadly HIV virus.